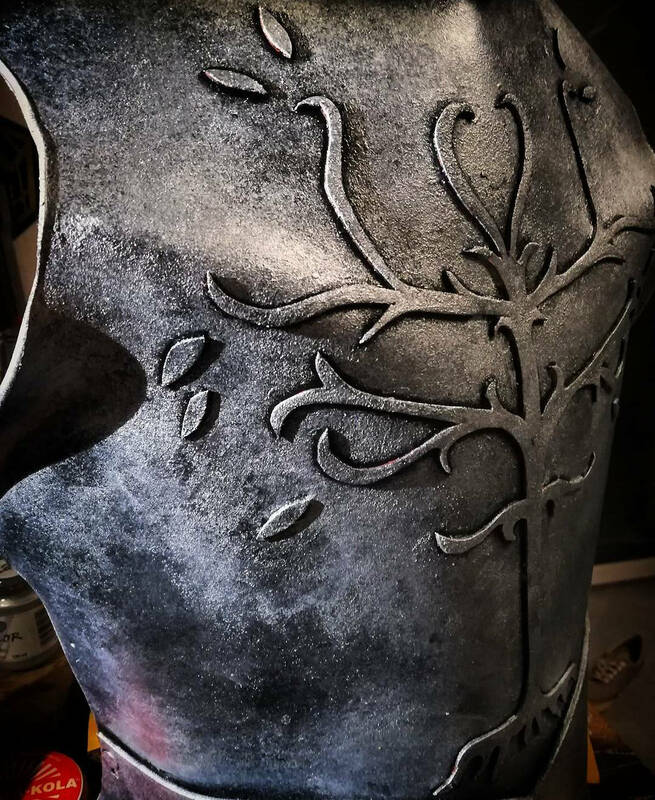 Gondorian Breastplate inspired from Lord of the Rings. 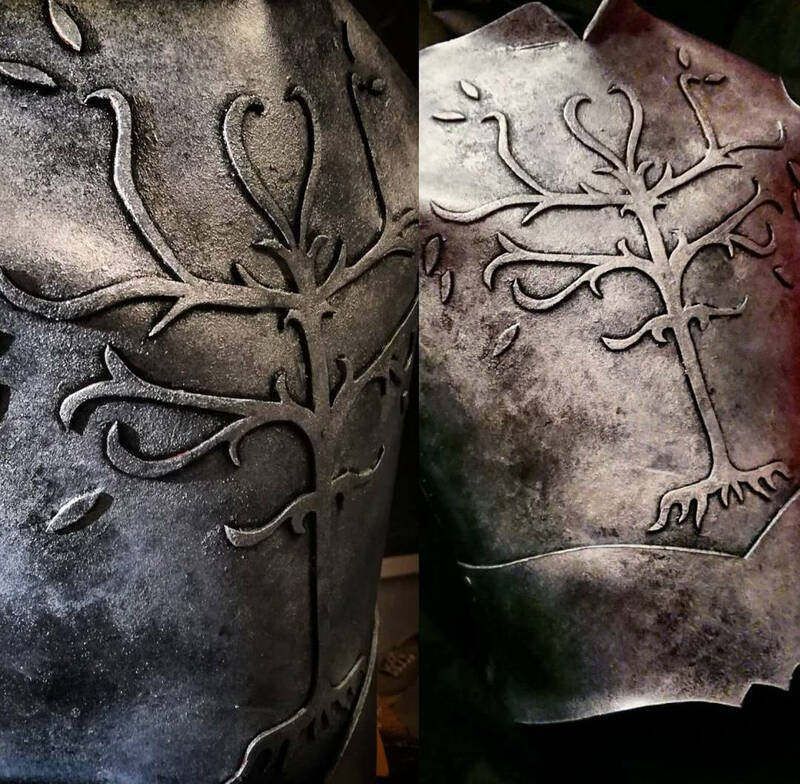 Made with 3mm sintra and texturized to a weathered metal finish, hand painted to look realistic. 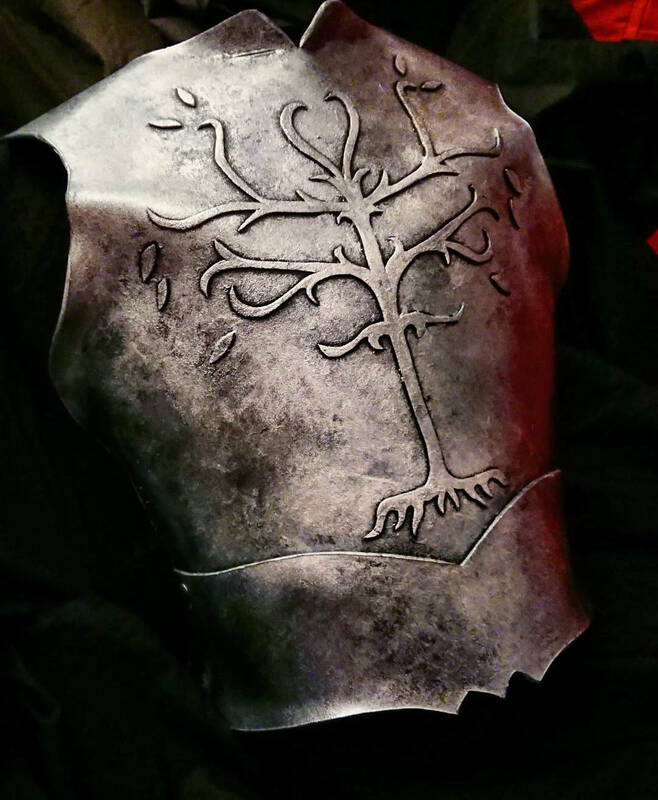 It can be worn with adjustable leather straps on the back.